Finding all sorts of challenges to play in and just need more time. You can't go wrong with a Penny Black stamp. Seems like I always reach for them if the challenge is not specific to a brand company. 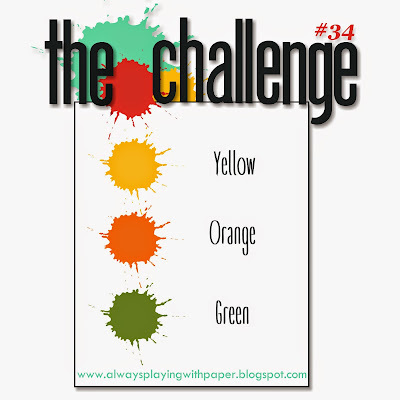 The good people at The Challenge wanted colors of Yellow, Orange & Green...so I just went with that. This card was actually stamped in Memento Dandelion so I had a guide to follow when I started watercoloring. Die cut the edge and the mats to match. 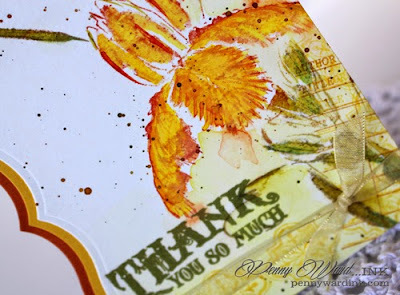 Sentiment was stamped several times using the Misti for a nice rich color. Sheer ribbon finished it off. Stunning as usual Penny! Love the fancy border! Thank you so much for joining us at CCCB this week! You do magic .. absolutely gorgeous, Penny!! Fabulous card and I love those bright colors. So glad you shared another great project with us for the Scrapy Land Challenge! Penny this Iris is so stunning... how do you do this, with so many images that just blend seamlessly! Thanks for joining in the fun at The Challenge with your gorgeous card! Such a beautiful card! Love the curvy edge and that flower is stamped perfectly! Thanks for playing along with us at Scrapy Land Challenge #17! Such a lovely card. You nailed our theme. The flower is gorgeous! Thanks so much for joining us at CCCB! Love it when you watercolor on your cards because you do it like a BOSS!!! 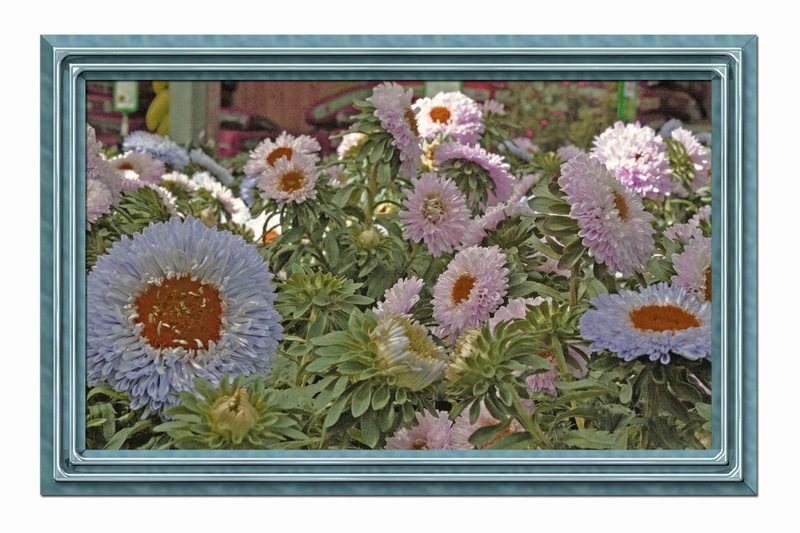 And I am always so impressed - the colors that you used for this one just make this such a gorgeously stellar card!!! So impressed! !